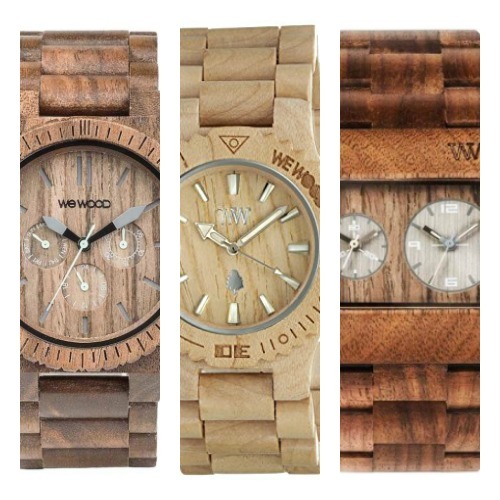 Hello everyone, today we’re going to be taking a look at some of the most popular wooden watches from WeWood. It’s a small list today that’s just intended to highlight the good work that WeWood watches are doing and showcase some of their popular timepieces here. 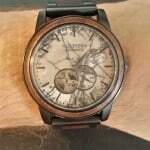 WeWood Watches Review – Are WeWood watches good? 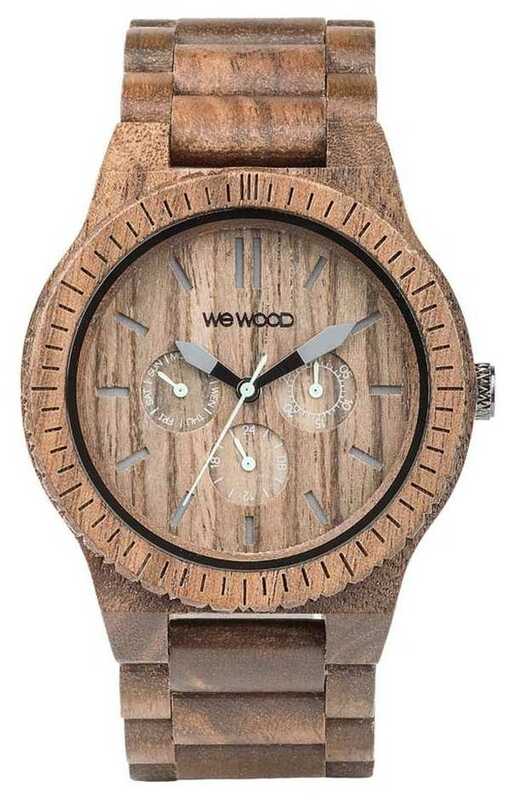 WeWood watches are crafted from all-natural recylced hypoallergenic wood for the casing and often the strap. Of course the glass and mechanism of the watch aren’t counted in this. Different types of wood are used to produce different finishes with no artificial dyes or colourings added. Becuase of this use of natural wood, each We Wood wooden watch can vary slightly from the image shown. WeWood are an alternative eco-friendly brand. 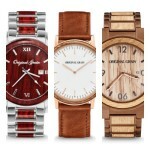 For each WeWood watch sold they promise to plant a tree in conjunction with Tree for the Future and American Forests. 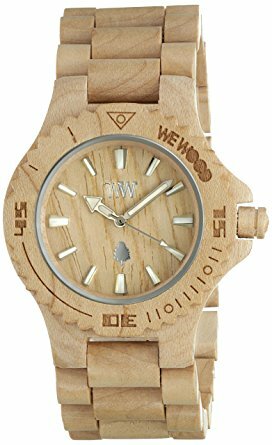 If you’re looking for a cool wooden watch from an environmentally friendly brand, WeWood watches are well worth considering. Whilst many wooden watch brands have popped up recently WeWood have managed to stay on top of the game with their consistent good quality timepieces that offer fair value for money. If you have any questions about any of the Wooden watches from We Wood featured today just comment below and let me know. For now, enjoy today’s list. First up on today’s list of the best WeWood watches is this popular chronograph timepiece. It’s built with a 45mm wooden casing that has a thickness of 12mm. The strap is also made of wood and fastens with a jewellery style clasp. The dial features slim baton style hour markers that are finished in a grey colour to match up with the grey tipped bold watch hands. There are also 3 chronograph sub dials on display of this WeWood timepiece. At the heart of this wooden We Wood watch is a chronograph quartz movement that provides accurate and reliable timekeeping. A mineral crystal glass also gives you a good level of scratch protection. You can read my full 70315700 WeWood watches review here soon. 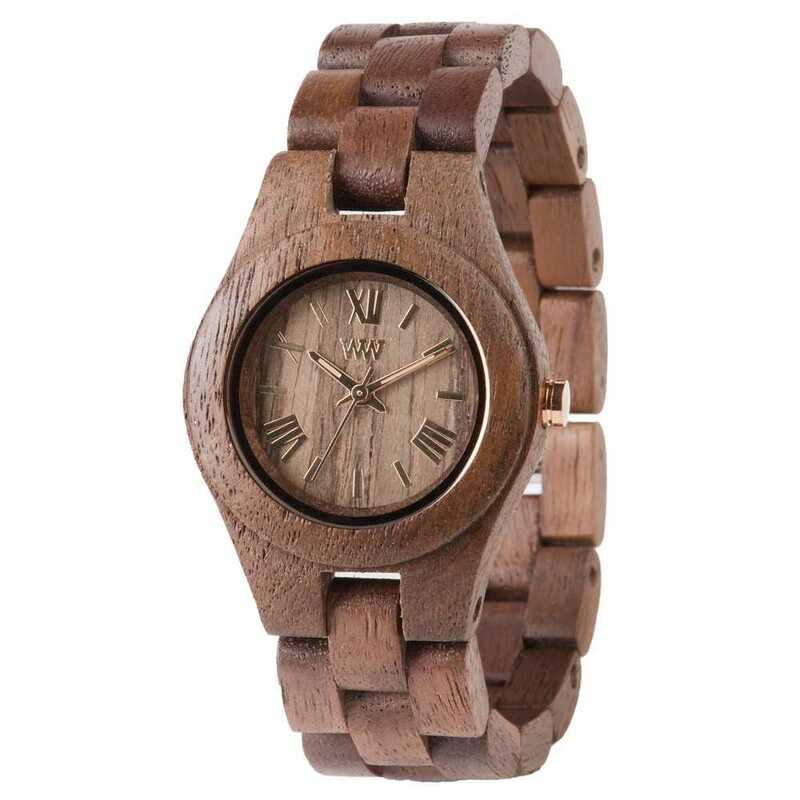 This next Unisex We Wood watch has a large 41mm wooden casing and a thickness of 12mm. The strap is also made of wood and fastens with a jewellery clasp. It has a simple dial design with raised hour markers and easily visible hour and minute hands. These watch hands have a luminous coating for better visibility in dim lit conditions. I like the little tree design that’s found on the dial around the 6 o’clock position too. At the heart of this We Wood watch is a reliable quartz movement for accurate timekeeping. A mineral crystal glass protects the front of the watch from scratches and has a great level of shatter resistance. You can read my full 70304200 WeWood watches review here soon. Here we have another popular We Wood watch that’s suitable for both men and women. It has a smaller 30mm casing that’s made out of wood and a thickness of 10mm. The strap is also made of wood and fastens with a jewellery stle clasp. The elegant looking dial of this Wewood wooden watch uses a combination of baton and Roman numeral style hour markers as well as slim hands that have a small coating of lume for better visibility in dim lit conditions. Powering this WeWood watch is a accurate quartz movement for reliable timekeeping. A specially hardened mineral crystal glass gives you a good level of scratch and shatter resistance. You can read my full 70210700 WeWood watches review here soon. In at number 4 on today’s list of the most popular We Wood watches is this Torpedo Nut wood timepiece. This wooden watch features a 46mm wooden casing that has a thickness of 11mm. It differs from the previous wooden watches as it actually goes for a nylon fabric strap that fastens with a buckle style clasp. The dial has a clear and simple easy to read design with these slim baton style hour markers and hands. An off centre knurled crown adds an interesting touch in my opinion. At the heart of this WeWood watch is a Japanese quartz movement for reliable and accurate timekeeping. A specially hardened mineral crystal glass provides a good level of scratch and shatter resistance. You can read my full WW50002 WeWood watches review here soon. Last up on our list of the best Wooden watches from We Wood is this large rectangular timepiece. It’s built with an oversized 42mm diameter and a thickness of 12mm. The strap is also made of wood and fastens with a buckle style clasp. 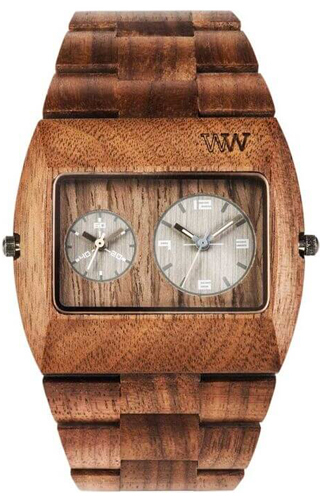 This We Wood watch is powered by a quartz movement that gives it reliable and accurate timekeeping. The glass on the front of the watch is made from a specially hardened mineral crystal glass to give you a good level of scratch resistance. You can read my full 9818073 WeWood watches review here soon. 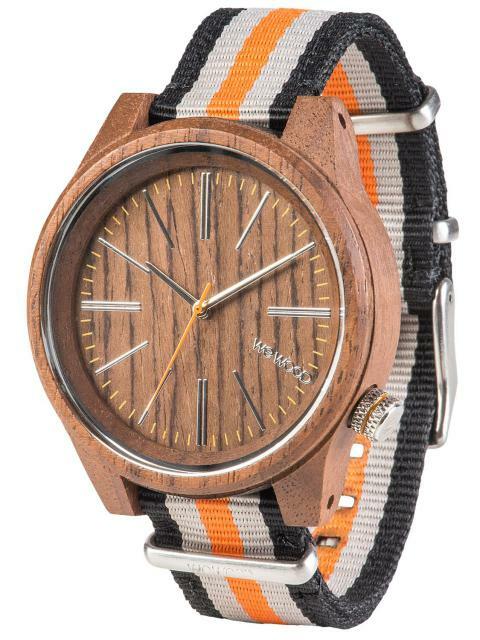 Thanks for taking the time to ready through today’s list of the top Wood watches from WeWood. 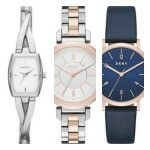 What was your favourite wooden watch featured in today’s list? Comment below and let me know.